The perfect ending to a perfect morning in Castellammare del Golfo! 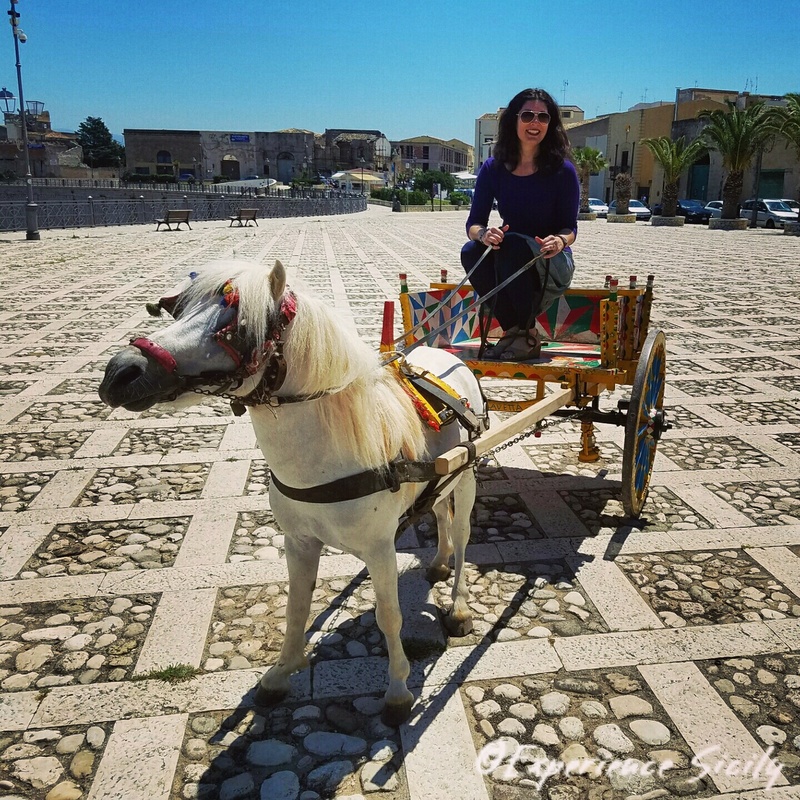 Silvio and his pony Napoleano were in the piazza with his cart giving rides to children… And then to me. Mille grazie Silvio! It’s all about interactions with Sicilians. This is what makes a truly memorable experience! Next Post Viva Santa Rita! So glad you are enjoying your trip!!! This was surely a highlight!